To achieve athletic greatness, one must first achieve energetic integrity. Athletes are individuals who have abnormal physical capabilities. They are humans who can control their bodies to a degree that is above and beyond what is considered ‘normal’. They are physically strong, seemingly energetic, and can move with speed, precision, and finesse. In order to achieve the status of ‘athlete’ one not only needs to train their muscles and hone them to a particular skill-set, but they must also achieve ‘energetic balance’. To achieve the status of athletic greatness however, one must also achieve ‘energetic integrity‘. Energetic balance requires free-flowing energy through all 7 chakras. When energetic balance is achieved and maintained, an athlete will incur little to no injury, they will recover easily from all athletic feats (workouts, tough competition schedules, etc), and they will obtain the ability to treat their sport as a form of meditation where they are able to perform in a meditative state of being. They will experience less anxiety or nervousness and they will move with an endless flow of passion and creativity allowing them to excel to high levels. Energetic integrity is based on the laws of the human magnetic field. This field that surrounds the body can work as a force field however it can become weakened by acts committed by the individual that go against the universal laws of ethics and humanity. In order for an athlete to achieve ‘energetic integrity’ they must act, in all instances (on and off the field), with integrity. Never out of selfishness, greed, manipulation or hypocrisy. Always from a place of passion, honesty, and humility; for the purposes of pure-play and fair competition (as opposed to the purposes of making money or becoming famous)-with the ultimate goal of inspiring. 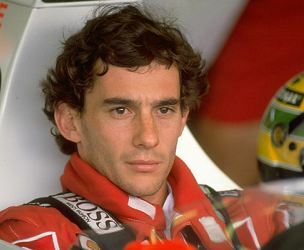 Two perfect examples of great athletes who achieved both energetic balance and energetic integrity are Lionel Messi and Aryton Senna (pictured above). Their natural talents and balanced energy systems allowed them to become good enough athletes to get noticed by the ‘big leagues’ but their personal integrity backed by their personal passion is what allowed them to become great. In both cases it was religious beliefs (or spirituality) that taught each to live and act with integrity (though I will duly note that religion is not necessary for an individual to follow the universal laws of ethics and humanity). Not only did they each achieve unmatched greatness in their sport, but they also helped many others along the way. Aryton Senna is personally responsible for giving hope to his entire country of Brasil during a time of extreme poverty when people were completely destitute and hopeless while Lionel Messi is known for his generous charitable contributions to his native Argentina. Both have inspired millions of people worldwide. If you happen to be an athlete who has been resting (not-so)comfortably on your physically-gifted-laurels and you dream of achieving athletic greatness, consider learning more about your subtle body and its relationship to integrity. An easy way to work towards step 1 of the athletic journey is Bio Energy Healing. It can easily help an athlete achieve energetic balance by detoxifying, unblocking, and balancing the 7 chakras. If you’re interested in achieving energetic integrity I’m afraid that’s up to you; the individual. When you achieve it, you will no doubt reach greatness.